It looks like Intel has finally listened to overclockers and enthusiasts and are going to offer their first soldered IHS mainstream CPUs in quite a while. 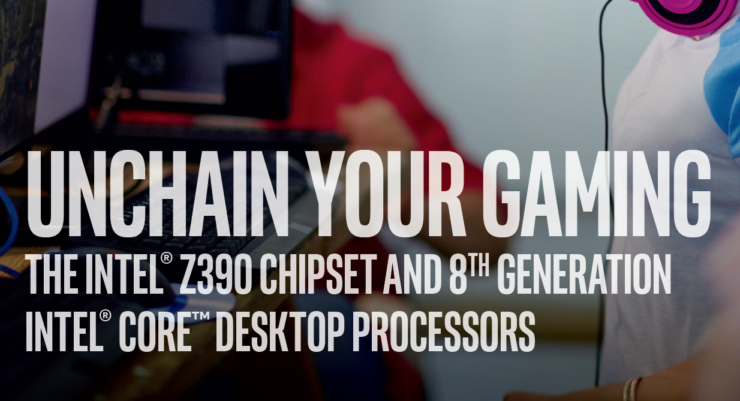 With the 9th generation family and the new eight-core parts, Intel will be offering faster clocks, more multi-core performance and enhanced overclocking potential through an optimized process node and a solder design that will keep your chip hitting those high clock speeds with overclocking. Now we have known that Intel was eventually going to use solder on their upcoming processors sooner or later. There were a few reasons behind that, first and the most obvious one is the rumor mill which talked about this months ago and the second reason is that Intel knows that enthusiasts and overclockers love to overclock mainstream chips and see their potential in terms of overall clock speeds. Previous Intel chips had impressive overclocking capabilities, but unfortunately, heating issues have become more and more apparent since the last two generations, so Intel knew it was time to switch gears and go for an actual solder IHS design rather than using another special TIM (Thermal Interface Material) which offered little to no change in the resultant overclocking temperatures. Intel also faced some serious competition in the cooling department versus AMD’s Ryzen chips which are using an impressive soldered IHS design as we came to see from the 1st gen and now, improved, on the 2nd gen mainstream Ryzen processors. So here it is, your first good look at what Intel’s soldered IHS solution would look like, courtesy of XFastest. 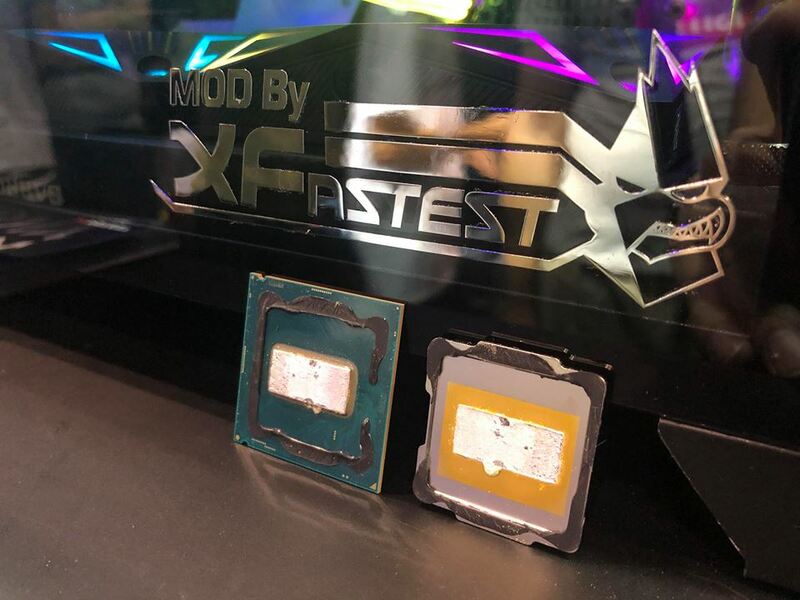 The chip in pictures is the Intel Core i9-9900K and we can definitely see a few key differences when compared to the Core i7-8700K. First of all, the die is slightly bigger since the chip packs 8 cores and 16 threads, compared to 6 cores and 12 threads on the previous flagship parts. The Core i7-9700K will also use the same die. 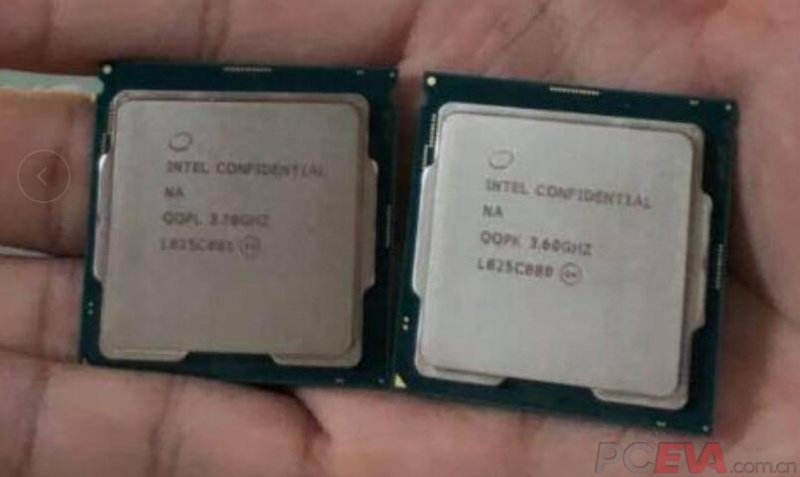 The other differences include the soldered IHS with the heat spreader design similar to the ones that were used on the Sandy Bridge processors back in 2011. The Sandy Bridge series is highly acclaimed amongst the overclocking community as it boasted the most impressive overclocking capabilities for its time and had a soldered IHS design which delivered impressive cooling capabilities and stable operation of the high-end processors of that time. 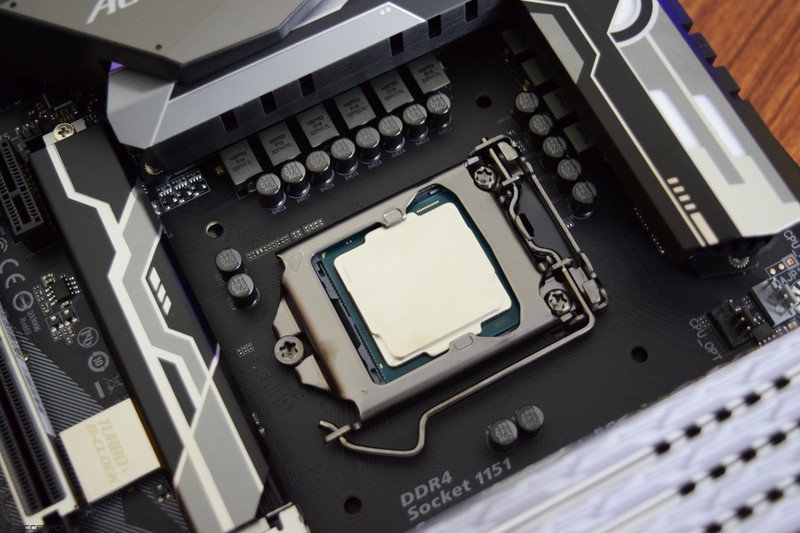 The Core i9-9900K uses a gold plated solder which makes sure proper contact is made with the IHS and lastly, we can see Intel’s STIM (Solder Thermal Interface Material) which is sort of a high-quality TIM between the CPU and IHS. Overall, it makes for a really nice package and we can’t wait to see some overclocking performance numbers on the chip. First up, we will detail the flagship part, the 8 core, 16 thread, Intel Core i9-9900K. 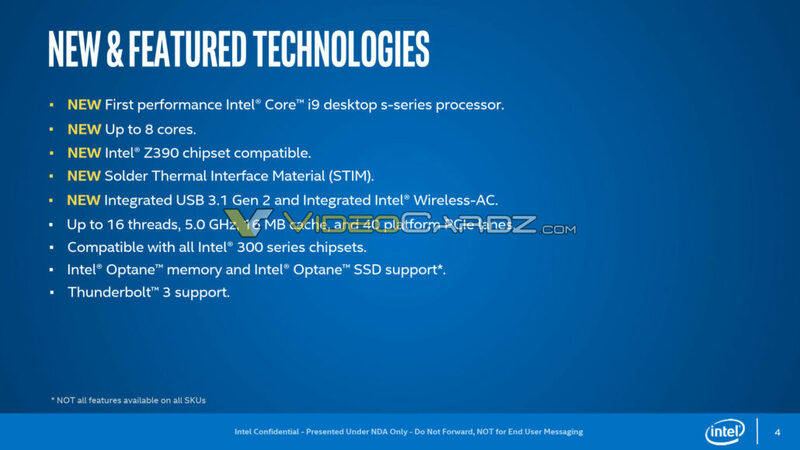 This will be the first mainstream desktop Core i9 part and also the first Intel chip to boast 8 cores and 16 threads. In terms of cache, the chip will feature 16 MB of L3 and will come with an Intel UHD 620 graphics chip. Coming to the top Core i7 part, we get 8 cores and 8 threads. This the complete opposite of what we have been hearing as previous rumors identified the chip as a 6 core and 12 thread part. The chip will have 12 MB of L3 cache and as you might tell, it has lower threads than the Core i7-8700K but comes with higher core count. So maybe, we will get same or even better performance from the chip. The specifications have been listed but there’s currently no word on the prices which are said to be expected around September, around the same time as the official announcement. Expect more on details regarding the prices and performance of these new 6 and 8 core mainstream parts from Intel in the coming months.